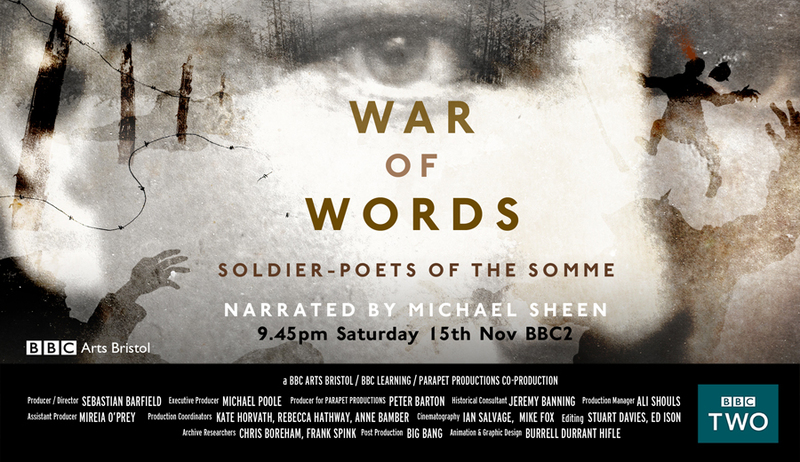 I have recently received the TX card for the upcoming BBC Arts documentary ‘War of Words – Soldier Poets of the Somme’. It will be shown on BBC Two on Saturday 15 November at 9.45pm. The 90 minute documentary which I worked on as historical consultant in 2013 follows literary figures who took part in the Battle of the Somme.